At my day job, we have been using TFS (Team Foundation Server) for years. It does a great job combining work items, process, and source control. Of course the cost of it was a bit more than I could justify for use at home for all of my home projects. My wife would have killed me. One of my friends at Microsoft, Jim O'Neil, invited me to try out tfspreview.com as an Azure backed TFS service. I instantly fell in love with it. It gave me all of the features of TFS and it was offsite for protection and it was FREE. the one thing that the site kept saying is that it would not be free forever and that at some time the service would open up for the public and go live. Today is the day it went live. If you need more than 5 users then in 2013 the paid plans will be announced. But for us little guys, this is a great free service. It definitely beats some of the other TFS hosting services by making this free. You can now get your WP8 SDK from VS2012. It is available and will take up to 5G of space. 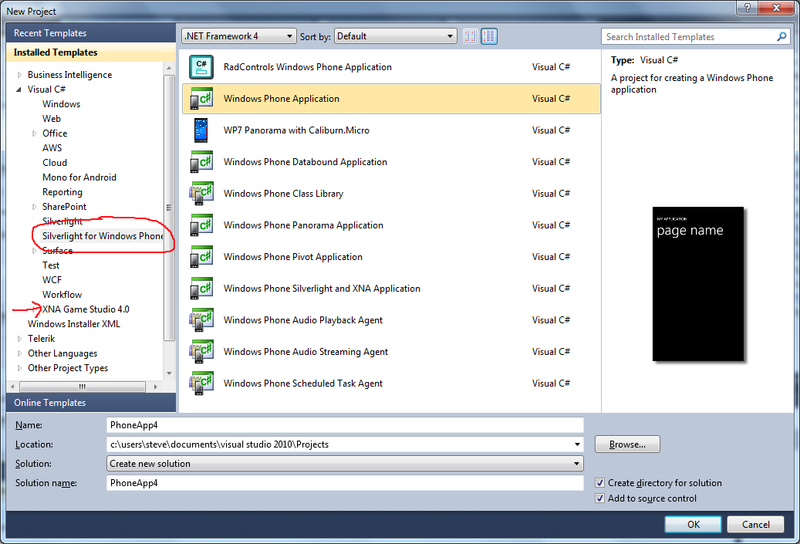 Go to the VS2012 project for Windows Phone 8 and it will give you a button to start the downloading. Looks like it will create both WP7.5 and WP8 apps. From my last post, a few people pointed out that the Windows 8 app store is also a tablet store and so it should be compared to the iPad store as well. And since the iPad store is also the iOS store, you should compare the two. I beg to differ on this point. Just because an app can run on an iPad because it can run iPhone specific apps, I personally think that those should not count. I agree that any iPad or Universal app should count when you are looking at the two stores. Here you can see that the iPad specific store is similar to the Mac store. The launch dates and the number of apps are different. Most of what I had talked about previously is still the same. From a developer/OEM side, the Windows store looks a lot better. Many apps in the iPad and iOS stores are a free version and then a paid version of the same basic app. This is a marketing tool that many iOS developers use. They flood the market with similar apps instead of having trial/paids apps because Apple does not support that. I would rather see as a consumer a better choice of quality apps instead of a market filled with 20+ sound effect apps that are all really the same app from the same developer. I give those guys credit for figuring out how to be successful in the iOS store, but this just points out to a flaw in the store itself. Windows 8 RTM and the Win8 store - thumbs up?? One of the benefits of having an MSDN subscription is that you get access to the latest operating systems and tools before they are released to the general public. I got access to the RTM (Released To Manufacturing) and needed to install it to submit my latest version of Thoughts and Prayers for the Windows 8 store. I wanted to share a few things about the install and upgrades for Windows 8. In the MSDN account, Microsoft generously provides 5 Windows 8 retail and 5 Windows 8 Pro licenses. This is great so that I can put it on my laptop, my tablet and have extras. My youngest son also wanted me to install Windows 8 on his desktop machine. I figured it would be a good test for doing an upgrade from Vista to Win8 and I would not be putting my development system in jeopardy of being DOA. Let's start with the upgrade on my son's desktop. This is a custom built machine that I put together years ago. It is an AMD 4400, with 2G of ram and many different hard drives. We first did just a standard upgrade. One of the first things I noticed is that the desktop was missing many of the icons that he had before the upgrade. Then we tested some of the icons that were left and they did not work at all. He uses this system to do video editing, watch videos, and play and host a Minecraft server from it. So I decided to get him a new 2TB drive and just install the OS fresh. This system already had 3 SATA drives and a PATA drive in it. So after the install, which went pretty smoothly, I decided that I wanted to get rid of all of those old drives. I found a utility from SysInternals called Disk2VHD. This lets you copy a disk and create a VHD that you can just mount in Windows 8. It took a while to create all of the VHDs but it worked well. Of course when we pulled the drives out we realized that the boot sector of one of the drives we removed was the active partition and we could not boot, so my son decided to just reinstall overtop again. This moved everything from the desktop and Windows folders to be copied into desktop.old and Windows.old folders for safe keeping. I am now connecting to his machine and mounting the drives and cleaning them up so that I can get some data off that I need for other projects. For my laptop, I decided that I would get a new SSD to put in because I have 2 bays for drives. This way I can put my 512GB drive as a secondary for storage. I prefer to put a new operating system on a clean drive so that I don't cause issues with projects I am working on. After I ordered and got a drive, the install worked smooth. And the download and install of VS2012 was equally uneventful. I download my source code from TFSPreview and recompile. One issue that I had at first is that the PubCenter Ad system did not have a version for the RTM. It only had the Release Preview. This of course causes a problem. Luckily, the Ad system was updated the next day. After testing, everything looked good and I go to submit. I then go to open my store account and my Live Account tells me that the machine has not be trusted on the account so I cannot log in. The only thing I could do is to look at the security info and to see that I needed to log in with my old drive to authorize the new hardware. I switch the drive back and my Live Account does not recognize it as my trusted machine either. It was very frustrating that I could not confirm any security info and I could not trust the new machine. I did not have this issue with the previous versions of Windows 8 at all. The only clue on what to do said that to trust a new machine you had to have Windows Live Essentials installed. I installed it but things did not work. I tried this multiple times and emailed a few people that I know at Microsoft but nothing would work. I finally decided to email the support for my Live Account to see what I could do. After that about an hour later, I was able to actually trust my machine and get things into the store. First I want to say that I love using Windows 8. My son's old desktop also runs very well, and actually better than it did before the upgrade. The only issue I have is that Microsoft has stated that the upgrade to Windows 8 will work on machines all the way down to XP. In my experience, this did not work. The only other warning that I will give is to make sure that you have all of your security info confirmed and machines trusted before even starting. The issue I had was because the only confirmed issue was the old pc name. If you had an email or cell phone number confirmed you might have been able to use that instead. I was reading some things on Azure today and found links to a couple Azure tools. One issue is that the MMC plugin will only install if you have the Azure SDK 1.4 installed. Well, the SDK is up to 1.6 now so it won't install. But you can keep an eye on it for the future. Getting started with developing for WP7 is actually pretty simple for a .NET developer or a new programmer. The tools are free, the simulator is terrific, and there are more and more WP7 phones in the market now. Microsoft has done a great job providing a development environment that is easy to use. I want to go over the steps in getting going with WP7 development as well as what the basic project types are. For the SDK you will need a Vista or Win7 PC. This means that you cannot install the phone sdk on an XP system. Installation requires 4 GB of free disk space on the system drive. Keep in mind that if you already have Visual Studio 2010 installed the SDK will tie to that SDK instead of Visual Studio 2010 Express. A word of warning about this however - when I was helping Microsoft at a local university with a WP7 event, we had to make sure that SP1 was installed on all of the Visual Studio 2010 installs. Doing this on 50 machines did take a while and I want to save everyone the time. At the university they also had it setup to reset the machines back to a default VS2010 install on a reboot. This means that the service pack and phone SDK needed to be installed over and over again. 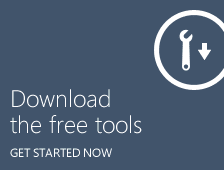 Finish installing the tools like you normally would to let you start making WP7 apps. AppHub is the name of the site that you will use to submit apps and keep track of all of them. This is the http://create.msdn.com/ site. When you sign up on AppHub you can make WP7 and XBox 360 games. Joining AppHub is not free. It is $99 per year, but Microsoft has deals every now and then to be able to get that fee back. You can make an unlimited number of paid apps and up to 100 free apps for WP7 and up to 10 games for the Xbox LIVE Indie Games. Apps are certified by Microsoft to make sure that copywritten material is not included and that the apps are appropriate for the region of the world you are releasing them. Another nice thing is that Microsoft will certify who you are. As a developer, this can be a pain in the neck, but from the user point of view it means that you will never get an app that says that it is from Bank of America when it really is from a guy in New Jersey just trying to get your account info and passwords. This actually happened on another phone store. As a paid member of AppHub, you can have up to three WP7 devices on your account and can developer unlock them. Of course for some people, like students, a $99 fee is a little steep. Microsoft has a program for students and educators called Dreamspark. This program is similar to microsoft's BizSpark program, where the student can get all of the developer tools from Microsoft for free but it also allows the student to tie a single WP7 device to their developer account. Microsoft is actually very generous to students and I know that I have handed out about 60 WP7 phones over two different university events. If you are a student, see if there is a local event for you to get a phone, but you can at least sign up for Dreamspark and get all of the tools first. Some people will say that they can't develop a WP7 app because they don't have a smart phone or they have a different brand of smart phone. Well I want to say that this is not true. The emulator that comes with the tools is extremely good. For many types of applications, you can do most of your development and work with just the emulator. For my first three apps in the store, I did not have a phone to use at all. Obviously if you are making a huge game then you want to test it on a real device, but many apps don't need this. Finally I am getting to the actual making of an app. When you start up a new project in Visual Studio you get a dialog that looks like this. I highlighted the two different types of projects that are available for WP7. The first is Silverlight for Windows Phone and the second is XNA Game Studio 4.0. In this tutorial, I am only going to be going over the Silverlight projects. I will have another tutorial later with XNA. Under Silverlight for Windows Phone, you will see a lot of different project types. You might now see as many as I have shown here. This does not mean that you are missing something. If you look at the left hand side of this dialog you will see that it has a section for Online Templates. This is a great feature of Visual Studio 2010. You can get other project types from an online gallery of templates. There are other things like online controls, and more that you can also download, but that is another tutorial. This application type is one of the simplest. It is just a single window. You can then add controls to the window like you would any other Silverlight app. Some of my apps use this type because they are a simple interface for the user. This application type is a very generic list of data. The data is typically a data bound list from some source, possibly online or entered from the user. Panorama applications are a unique app type to WP7. It has a large panorama image in the background that will scroll as you scroll the display left or right. This way the user can have an easy way to move from screen to screen with a simple swipe. My Thoughts and Prayers app uses this type of project. This project type is new to the 7.1 Windows Phone SDK. Before the Mango release last yet, you had to pick either a Silverlight project or an XNA project. The issue with an XNA only project is that you have to make your own buttons, text, and sliders and all other controls. This can be time consuming with a Button class just sitting there in the Silverlight that could be used. This allows you to use the Silverlight controls with an XNA project running in the background. This way menus, high score lists, etc can be written with standard Silverlight controls and that makes it easier for developers. In the coming weeks I am going to be adding many, many posts and demos on WP7 apps. After I get all of the basic Silverlight posts out that I am wanting to get done, I will start on the XNA side of things as well. Keep checking back for updates and for the video tutorials to help you to see each step of the way. I know that some of these have helped me in the past. I wanted to share the presentation that I had put together for the March AppRochester meeting. Todd did the tips on iOS, but then I did the tips for WP7. I am going to start recording some short video tutorials on programming for WP7. There are many different things that I have done on a WP7 that could be good lessons for others. I am also going to look to my group AppRochester to make some videos and blog posts for other platforms such as iOS and Android. I could do those as well using MonoTouch and Mono for Android, but there is a good training section on their website for people to use. Depending on how well these go I might also do some around Windows Azure and SQL Azure. If there is something that you want a video or a blog post on about WP7 programming, please let me know. The first one coming soon is getting started with WP7. I will be going over how to get started with WP7 programming, including where to download the needed tools and what are the basic project types. MVP can stand for many things - Most Valueable Player, Most Valuable Professional, etc. but running a mobile device user group, I get people coming to me with idea after idea of app products. Some of them are great, but some of them are not really positioned to do well. So here I will refer to MVP as Minimal Viable Product. I will define this as the minimum that a product needs to have to be useful for someone. Notice that I did not say that it is useful to everyone. In the development community, many apps get something called feature creep. This means that features keep getting into the application before it gets released. One company I worked for had a medical device and we were almost ready to start selling it. The managers went to a trade show and then came back with a dozen of so new features that needed to be in the first release or "Nobody will buy our product". Needless to say that project was not a run-away success. The concept of MVP here is that you don't know the direction that a project will take after the users get their hands on it. And in the mobile app community the needs and wants of users changes quickly. I will use one of my apps as an example. My app is called Poker Hand Rankings. It is a little app that just puts the different poker hands in order and explains them. This makes it easy for a beginning poker player. I could have picked to make an app where people could play poker online against each other or against multiple computer players. I choose to put out a simpler app and get it out faster. I am using the old "Release early. Release often" idea for this app. Of course I have not done that many updates so I am not really releasing often. But now, people are asking if the app can have the ability for them to practice playing poker as well. So what I am doing is putting in a section where you can play video poker. This is still easier than an system where you play online with others, so I am keeping it more MVP. Another thing that limiting your apps does is to let you add new features pretty quickly. Many mobile stores have a section for updates and put your app back at the top of the list for a short time. This also makes it seem that you are working really hard on improving the app as often as possible - even if it is just you doing everything. So I usually recommend to people to put out a mobile app out quicker. Limit the features and get it out the door. Then listen to your customers as you enhance it. Get started instead of waiting for your idea to get done. Get started with a MVP. I thought that I had release my Kinect voice control demo on CodePlex, but someone posted a message that they were waiting for the release. This is a sample of both a PowerPoint plugin and how to do voice recognition with the Kinect. It was developed for a demo for a couple of user groups that I speak at. Have fun with it. I know that I have been reglecting posting here for a while, so I want to catch everyone up on what has been going on. I have been very busy with mobile device development. I currently have 11 iOS, 5 WP7 (1 pending), and 2 Andoid apps in the various marketplaces. All of these apps are using .NET either using Monotouch, Mono for Android, or just Visual Studio. I will post about all of the various apps that I have in more detail later. I just published a project up on CodePlex. This is a small sample on how you can control a PowerPoint presentation using a plugin and the Kinect. Microsoft is releasing a Windows version of the Kinect next week and this will be a good start for voice controls. Lots more happening in the WP7 world and gaming world here in Rochester, NY, but I will post about this later.